Nolan is my favorite Revenge character and one of my favorite characters on TV. I love that Emily has someone with whom she has a brother/sister dynamic. She has enough love interests as it is: Daniel, Jack, Aiden and who knows who else in the next season. So, it is great to see a different side of her when she interacts with Nolan; although she can be quite bitchie with him, but isn't that what all sisters do? Like Nolan on Revenge, Huck is my favorite character on Scandal. One of the aspects I like the most is his relationship with Olivia. Olivia runs the show and she has some sort of bond with everyone who works for her. Nevertheless, I always felt her relationship with Huck was a tiny bit more intense. I also get the sense that we haven’t learned the full story yet, and knowing how Shonda Rhymes operates we may keep getting shocking revelations for the next five years. Huck and Olivia have nothing romantic going on, yet Olivia is willing to cross lines to protect Huck and she can get almost motherly with him. As for Huck, he is 100% loyal to Olivia and does everything she asks without question. That is devotion. One of the great things about this show is the dynamic between the two leads. With SO many procedural shows you have every variation of the male/female detective duo you can possibly imagine. It is hard to come by with a pair that feels “different”. I believe Linden and Holder achieve that. 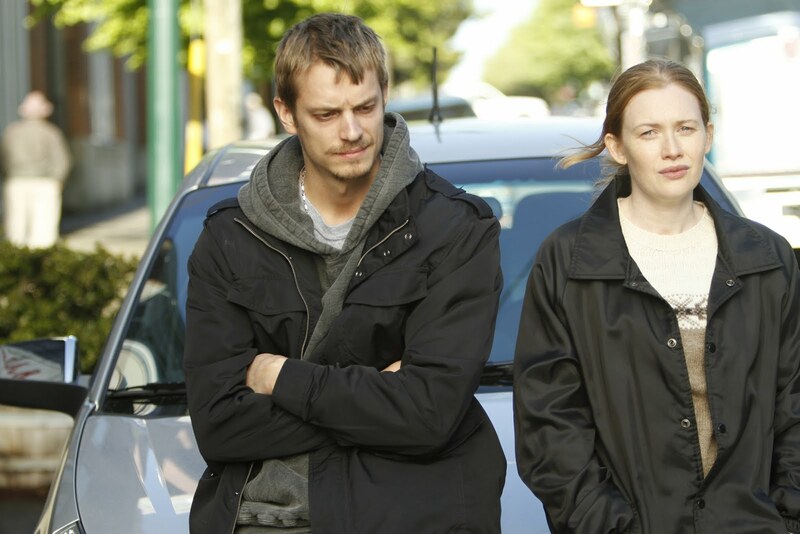 For one, they are not a romantic couple, and they are both very interesting layered characters. The fact that they are completely different makes it more interesting to watch. They have a true friendship and appreciation and I like that. I certainly hope they NEVER decide to even tease with a romantic relationship, it would ruin the otherwise perfect dynamic. Originally, another non-romantic couple was my favorite on Game of Thrones: Arya and Gendry. However, they split them up. 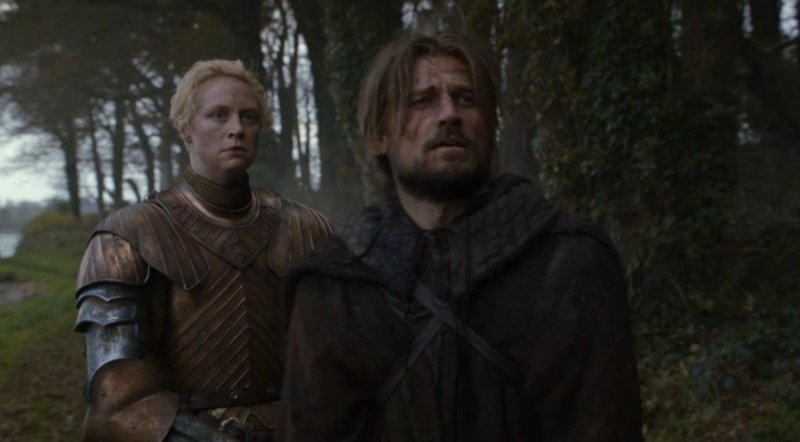 Never mind, because this season brought us an even better pair: Brienne and Jaime. It started with Brienne escorting Jaime as a prisoner and it ended with him being her savior and maybe even a friend? In classic GoT fashion, characters are not good or evil and Jaime Lannister is a perfect example of that. One second he appears to be as devious as his sister (or son) and the next he is acting like a selfless hero and showing concern over his family. I loved how his relationship with Brienne evolved into mutual admiration. I like this pair so much, I wouldn't have minded if something sort of romantic had happened… and I know that is a little weird, but hey! It’s Game of Thrones, my favorite couple is Tyrion/Shae and I loved Daenerys/Khal Drogo. I can ship pretty much anyone. Unlike the other couples mentioned above this is not a partnership or a friendship. It is a boss/employee relationship. But who is the boss really? Donna is probably the only person that can put the smug and impossibly cocky Harvey in his place. She is absolutely loyal to him and he knows he can’t live without her. It was insinuated that there might be something else between them, but I choose to believe their relationship is strictly platonic. They love each other but not in the romantic fashion and it’s nice to see Harvey care about a woman he is not trying to sleep with [or playing or both]. I am sure a LOT of people would like to see this “platonic” couple be more than platonic. I actually wouldn't. I love the way they are right now. There are a lot of innuendos and sexual tension, but nothing else and I enjoy it that way. I love Felicity and I think she is a better female character than Lauren, McKenna or Helena. However I am not quite sure I would like to see her as Oliver’s girlfriend. He needs a platonic female friend. But of course I must be one of the few Arrow/Felicity fans that feel this way. Somehow I think the writers are on the same page as I am… but the question is will they succumb to the “Olicity” charm? This list focused on female-male couples, but don’t fret. Best Bromances are next. A/N: I've been getting some heat from readers that disagree with the "platonic" status of some of these couples. Just to clarify by "platonic" I understand a 'non-sexual' relationship. Therefore I included couples that haven't even kissed (yet, not saying it will never happen). The couples on this list have different levels of 'potential romanticism'; from Huck & Olivia, who I don't think have any sexual tension, to Felicity and Oliver who could easily transition into a "romantic" relationship. With Olicity I'm like between the sword and the wall, IYKWIM. I like how is their relationship, but at the same time I'd to see them together because I can't stand Oliver's relationship with Laurel. ZERO chemistry between them.